Russian analyst urges nuclear attack on Yellowstone National Park and San Andreas Fault line to destroy U.S.
“Geologists believe that the Yellowstone supervolcano could explode at any moment. There are signs of growing activity there. Therefore it suffices to push the relatively small, for example the impact of the munition megaton class to initiate an eruption. The consequences will be catastrophic for the United States – a country just disappears,’ he said. “Another vulnerable area of ​​the United States from the geophysical point of view, is the San Andreas fault – 1300 kilometers between the Pacific and North American plates … a detonation of a nuclear weapon there can trigger catastrophic events like a coast-scale tsunami which can completely destroy the infrastructure of the United States.” He said the Russian geography on the other hand would protect it from a tsunami or a volcano attack. Few people live on the coast in Russia and Siberia which rests on basalt would withstand similar attacks. Mr. Sivkov, who spoke at the 2013 Moscow Economic Forum, said by 2020 to 2025 Russia would have amassed “asymmetric weapons” in its arsenal for the attack. “The situation for us today is comparably worse than half a century ago,” he said. This entry was posted in Black Swan Event, Civilizations unraveling, Drumbeat of War, Earth Changes, Earth Watch, Extinction Threat, High-risk potential hazard zone, Human behavioral change after disaster, Infrastructure collapse, Magma Plume activity, New weapons of war, Potential Earthchange hotspot, Prophecies referenced, Resource war, Rising tension between nations, Time - Event Acceleration, Volcanic Eruption, Volcano Watch. Bookmark the permalink. 61 Responses to Russian analyst urges nuclear attack on Yellowstone National Park and San Andreas Fault line to destroy U.S. This article makes part of the anti-Russia Western propaganda. It can be consider to warn the stupid US war mongers. Do also consider several underwater nuclear explosions on both ocean coasts to over flood the continent with tsunami waves. Shalom, Klaudio. I find it interesting when someone throws rocks at other folks in their walk through life, while you stand in front of your ‘Glass House,’ so to speak. IMO, both USA, and Russia, are culpable in doing something that shouldn’t be going on. Hmmm perhaps, that is why both sides are blind to the ‘Right Way to Live? ?’ We may well know soon. God Knows. They would not overlook the New Madrid fault. Actually the easiest way to destroy the US and kill 90% of the population within one year would be a massive EMP explosion. A supervolcano eruption would have global ramifications including a mini ice-age which Russia would suffer from as well. If they are really thinking about going through with this it is the most stupid thing I have ever heard. The ash cloud that it would create would get caught in the upper atmosphere and kill every thing starting with the plants. Then the plant eaters would die. It would break down the food chain and we would become extinct. Trust in Jesus now with all your heart. He is very real and He is the only thing that will save us. The Cabal-Zionist’s tactics of Blaming others for own deeds, even volcano Yellowstone natural eruption can be taken as a reason to blame Russia for a nuclear attack, to then let the US military “respond to the Russia’s attack”. Have such propaganda preparations began ? Yea!!! Russia wouldn’t know how to act when it got cold outside!!! Wonder how they would handle that?! The ash cloud would eventually dissipate before it got to russia. You’re wrong. If Yellowstone goes off it’s an extinction level event, meaning entire mankind will likely be wiped out. However, Russia does have a network of bomb shelters that were built throughout the cold war which are considered advanced and sprawling, it has been said one such shelter is the size of NYC and can sustain a population for 40 years (thats how scared they were of the prospect of nuclear war). However there would be catastrophic food shortages around the world – they would likely due in those shelters slowly. They should just Clap Israel, Central London, New York Toronto and Basle – Rothschild’s dead – end of earth’s miseries! Well, if you consider the fact that some believe small suitcase special weapon bombs are already in the country, This is possible. Also, sound waves could aggravate the faults. Most people are unaware that certain sound frequenices are as deadly as a speeding bullet or arrow. Club-K makes it possible also!!! Really, I didn’t know you could humiliate a sociopath! once again a misleading headline, the article does not say China owns the Park, even if it does, should have stated that, I apologize if I missed it. Please not a Russian War-hawk, there are already too many as it is in America, will someone please give him his medication and put him to bed. Then in flew Superman, welded the fault back together, saved everybody’s bacon, again, saved the girl reporter, idiot photographer, the town, the train, the bus load of school kids etc, etc. Interesting. Reminds me of the dream I had in December. You forgot to add the fact that China will be very unhappy seeing as they own the Yellowstone Park that they obtained as part of our debt payback. The Russians will have to get their permission first so as not to agitate them. Actually – what you mean is – Russia can only set off Yellowstone is China doesn’t get to it (Setting it off) first!!!! They own Yellowstone? I had no idea. I thought Yellowstone was a national treasure and sacred landmark and owned by the people of the U,S.. (I’m from another country) Unbelievable! Research scalar-tectonic weaponry (HAARP is an example). The Soviets developed Tesla Tech – HAARP appeared after the carpetbaggers (like Jacob Lew, now our Sec. of Treasury, who was sent in to privatize and sell off anything not buried) picked the bones of the dead empire. Russians developed it, so you can be certain they still have a variant, and tectonic warfare is just one capability. It is theoretically possible to pass energy through the planet, with two beams meeting below the Yellowstone Caldera. Tesla said he could crack the planet. The only reason that won’t happen is that the Creator of the universe will not allow it. The Synagogue of Satan will be defeated. The question is how many will die in the carnage they plan on causing. wow,I am almost shocked,but not really,nothing shocks me anymore. Nor should it. We haven’t seen anything yet. Tell that QUACK steve quayle that it is he that needs to do homework. The Chinese and Russians will ally against the us in a confrontation and yes this is a plausible attack scenario. I however doubt that nukes have enough power to weaken 4-5 miles of rock. Maybe you need to do a little study on who owns the national Parks because most of them have been turned over to the U N by bush, Clinton, bush and obo. China owns so much of this country that it is sickening and what makes you think obo wouldn’t have given them Yellowstone as a payment so they would keep on supplying us with our dollars? Just like the Bundy fiasco, they wanted the property because rat face reid promised the chinese they could have it and all of the natural resources that were on it. Its only a matter of time and they will take ownership of it. Here is a very short article you can read up on regarding the National parks. BTY our government now owns all the water as in lakes, rivers, streams, ponds, mud puddles and even wells on our own, use to be private property. I lived in Montana at one time and their is a plaque there that states that it is the property of the U N. You may not like Steve Quayle but he is not a quack. You may not appreciate his work but tell me, home many years have you devoted in research on what subject? He is world renowned in his field and speaks at many conferences in this country. In that last paragraph about living in Montana I forgot to state that I was talking about Glacier National Park. So if I want to visit Yellowstone do I have to get permission from China and why is it still a National Park if it doesn’t belong to our nation. Do you really think China cares if it gets blown up? The question remains Are you all crazy? Starting to buy into the stupid scenarios being made up by the Really Crazy people. Was anyone around last time Yellowstone went off? Does anyone really know what happened? No it’s all speculation. The so called scientist are changing our history everyday because what they thought happened didn’t!!!!!!! The article appeared on the 30th…websites update their articles daily, and will change the dates. This was part of the plot in the movie “Testament”. A HAM radio operator reports that at the start of WWIII a Russian nuke hit Yellowstone and that the sky was filled with rock and smoke and that it must have been some sort of mistake. ‘FLO’ says that PROGRESSIVE Ins. now offers extensive coverage VOLCANO INSURANCE, with VERY LOW deductibles! …and Geico says that he is not worried because he is so low to the ground that he will not even have to duck!…but he’ll tuck his tail in just to be sure! Should Russia decide to bomb Yellowstone or the San Andres Fault they have to remember the one rule of physics…..For every action there is an equal and opposite reaction….Russia you best think a little before you act. You do understand that if Yellowstone would erupt, Russia would be affected too! Especially since Russia is already so cold! The planet will be thrown into a mini-ice age or volcanic winter! The temperatures will drop, mass extinctions will occur, and the equator would freeze. Congratulations, you’re encouraging Russia to end the Human Race! actually, The ash cloud would have dissipated before it got to russia. A very worrying observation indeed!!! If a nuke were used on Yellowstone it might actually divert it from exploding by removing the resistance to the pressure build up underground? Anyway; as I mentioned a few years ago before this revitalization of Russia…A.A.Allen…Dimitri Duduman..Katherine Sims…John Paul Jackson.. St. Hildegard and others…Seems like maybe the crash of the dollar comes first? But the attack as allowed by God seems imminent. Whilst I do not recommend nuking Yellowstone, I agree with this gentleman’s theory that the West is planning a war with Russia. They are making military moves across the world which indicate preparation for a war. This represents the last throw of the dice for an increasingly desperate West led by NATO the puppet army of the US. They will not succeed. A waking world is no longer prepared to put up with US/UK aggression. For decades the USSR/Russian Federation has had very sophisticated Scalar Interferometer Weapons which are capable of stressing volcanoes and geological faults into vigorous activity. There is no need for nuclear devices to initiate volcanic and seismic events. In fact, Scalar Interferometry renders nuclear weapons obsolete. For authoratative information on this look up Tom Bearden (cheniere.org). The full spectrum of the capabilities of Scalar Interferometry absolutely boggles the mind. They could be very accurately described as Armaggedon Weapons and the threat of their use certainly heralds Doomsday for planet earth! Targeting the New Madrid Fault would be far more devastating to the U.S. than stimulating the San Andreas into activity. To better understand current events it should be taken into consideration that the sun has gone into a dormant mode that heralds the beginning of a “Mini- Ice Age”. The last such event was the Maunder Minimum just over 200 years ago during the American Revolution. You might recall the bitter winter the American Revolutionaties experienced and potraits of George Washington crossing the Delaware. Europe experienced extremely cold temperatures and the River Thames froze over. The last two winters should be evidence enough that we are entering a period of drastically lower temperatures and increasingly bitter winters ahead. For incontrovertible documented evidence look up John Casey (spaceandscience.net). A mini-ice age will bring catastrophe of incalculable proportions what with crop failures and mass displacement of the population from the higher latitudes where extreme cold, ice and snow will virtually shut down entire cities. The Powers That Be are well aware of this event already in progress. Accompanying these epic solar minimas is increased seismic and volcanic activity. Volcanic eruptions will hasten plunging temperatures by spewing vast amounts of particulates into the atmosphere which will futher reduce solar energy reaching the planet’s surface. Our world is in for a very rough ride indeed. We are truly facing extinction level events both natural and man-made (Scalar Interferometry Weapons). 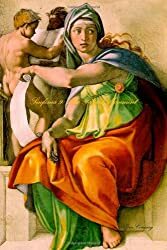 Never before in the history of this world have prophecy and current events been in such perfect accord, thus setting the stage for times the likes of which have never been seen before or ever will be again. In any case, when Yellowstone erupts again, the whole world will be affected so Russia would be wiping itself out. Humans in generalv aren’t doing much good on this planet anyway. Maybe the next species after us will be better…. It would be a legitimate tactical target in any exchange – and that shouldn’t surprise any of us. 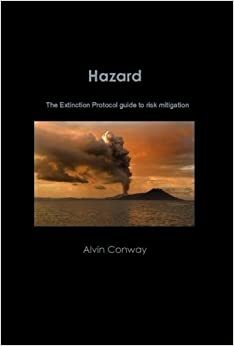 Given the well-documented prospect of an extinction level mini-ice age event, replete with accompanying catastophic seismic and volcanic activity, there is convincing evidence that so-called global terrorism is a cover to gain control over the world’s population in advance of such a calamity, the foreknowledge of which would surely fuel widespread panic and chaos. A nuclear war would serve to eliminate a large portion of the population before they awaken to the reality that an extinction level event is imminent from which few will emerge unscathed, save for those at the top of the pyramid whom have made extensive preparations (at the victim population’s expense) for their exclusive survival. How convenient it will be for the well-informed select few to rise up from their underground facilities equipped with advanced technology that has been withheld from the public for decades to a world scoured of a problematic population. Reality is truly stranger than any fiction writer’s wildest imagination. The current prospect of nuclear war makes the Cuban Missile Crisis look like a walk in the park of Mayberry. Nuclear war now would serve the purposes of the elite by reducing the population before they awaken to the greater threat that is unfolding before their mainstream media induced clueless eyes. We are facing the prospect of a death by nuclear incineration/poisoning at the hands of Mad Max Governments or slowly freezing/starving to death at the behest of Mother Nature. An Epic Solar Minima is now going on three years in progress, the testimony of which is the last two record breaking winters (spaceandscience.net). Wouldn’t you know it…the end would come when you least expected it. Great choice…death by fire or ice. Beam me up Scotty. I can’t believe you all bit into this April fools prank. The story is not an April Fool prank for the Nth time. Please do your research. Something, gigantic, coming from above, is going to uproot this earth, in it’s entirety. You guys know that if Yellowstone erupts the United States will not be the only one’s being affected? Super volcanos have erupted before and has put the Earth into mini-ice ages or volcanic winters. Russia will be hit hard, too! The temperatures on the planet will plummet, mass extinctions will occur, and the equator will freeze. Well, at least the world will know who F***** up their lives. Russia would be responsible for the killing of every living thing on the planet. 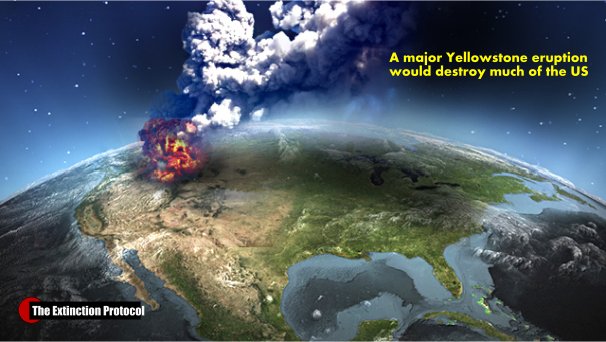 Scientists have stated that if Yellowstone would erupt today, we would most likely not survive. And the thing about bombing the San Andreas fault. How the hell does a fault line on land cause a tsunami? Only earthquakes that happen in the ocean can cause a tsunami! At least get your facts straight before threatening a county! I’m irritated today! Katherine is correct about San Andeas Fault, Yellow Stone will kill us all, and U.S. – if gets hit by Russia, Russian will get NUKED too by US. So, there you go ! The nuking of San Andreas Fault could possibly trigger domino effect of Volcanic eruptions in the Pacific “Ring of Fire”. Thus, killing everything on the face of this planet !